BouT is the study association for the Building Technology programme at TU Delft. 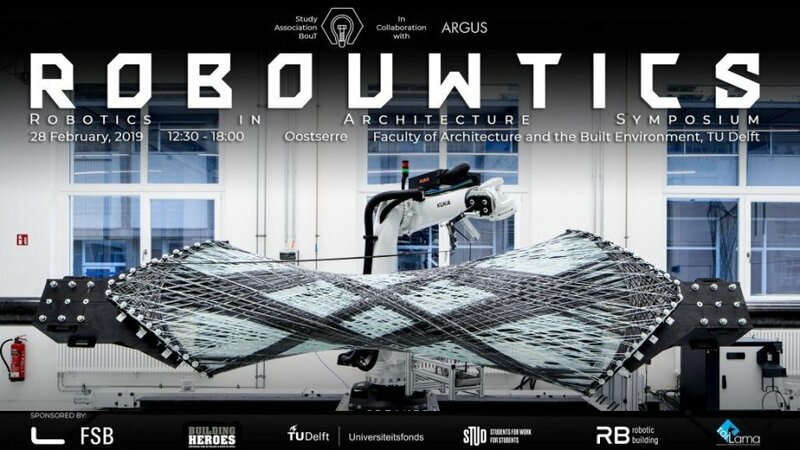 For the 2019 edition of our annual symposium, BouT collaborates with ARGUS to bring you ROBOUWTICS, Robotics in Architecture. This event will discuss the usage of robots for fabrication, assembly, optimisation and interactive design in the built environment. This a free event open to the public featuring presentations from researchers and professionals active in robotics along with a panel of TU Delft researchers. This symposium aims to raise awareness and equip students with new insights and a head start to tackle challenges of the future using robotics.